Transformers are vital for our current power system and won’t be replaced for decades to come. They are spread throughout the global electric network, and even a fractional increase in their efficiency can do wonders for the environment as well as the consumers. In light of this, the US Department of Energy has released fresh, strict efficiency standards known as DOE 10 CFR p431, which have been in effect since January 1st, 2016. The new standards apply to both liquid and dry-type insulated transformers. Compared to the current standards (TP1), DOE 2016 compliant transformers offer 18% and 13% reduced energy losses in low-voltage and medium-voltage dry-type transformers, respectively. As a result, the DOE estimates $12.9 Billion savings for consumers and a reduction of 265 million metric tons of CO2 emissions. Hammond Transformers are known for their compliance with the highest safety standards, along with their supreme design and long-lasting build. 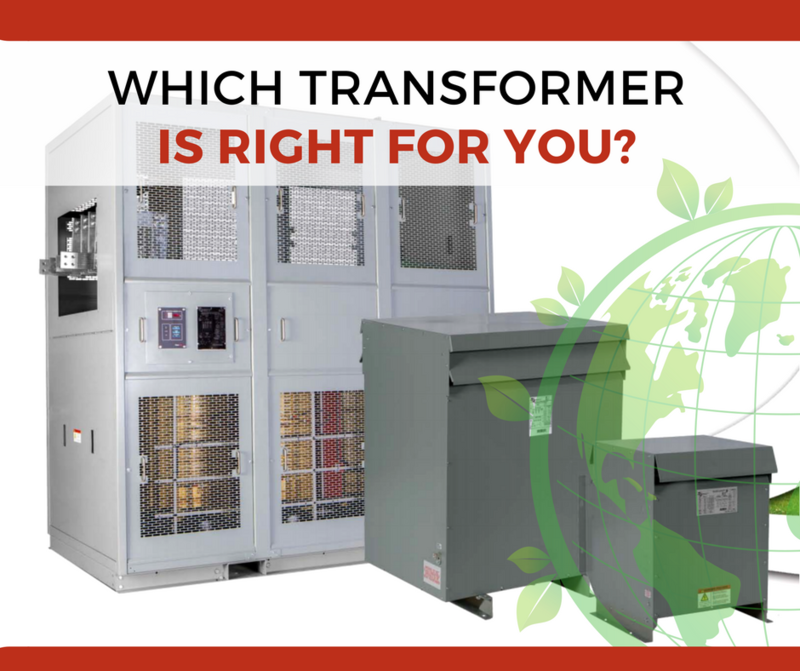 The new line of Transformers is completely redesigned and falls in-line with DOE 2016 standards, encompassing both low-voltage and medium-voltage distribution transformers. Upgrading from a TP1 standards transformer to a DOE 2016 standard one can be rewarding both environmentally and financially. 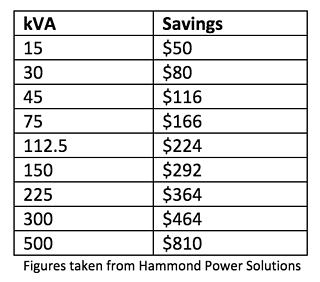 A typical 3-phase 75kVA transformer (DOE) can save 1.19 metric tons of CO2 compared to TP1-rated ones. Interested in learning more about Hammond Power Solutions?